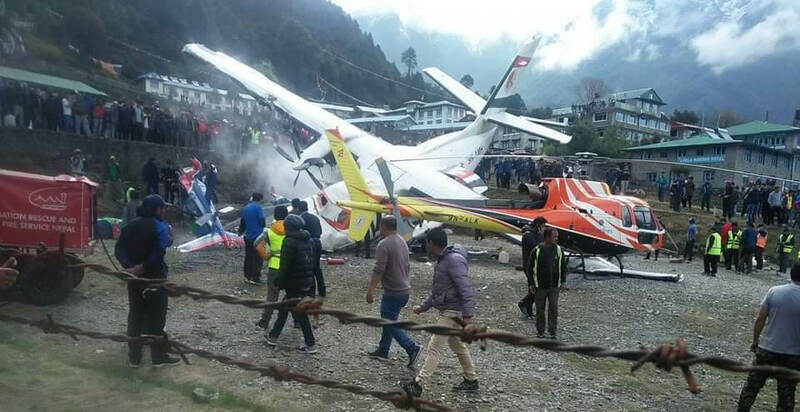 A Summit Air plane skidded off the runway at Lukla Airport on Sunday morning, hitting two helicopters parked nearby, killing at least three people, eye-witnesses and airport officials said. The co-pilot of the Czech-built Let410 and two policeman were killed, while the injured were the pilot and staff of the Manang Air helicopter. 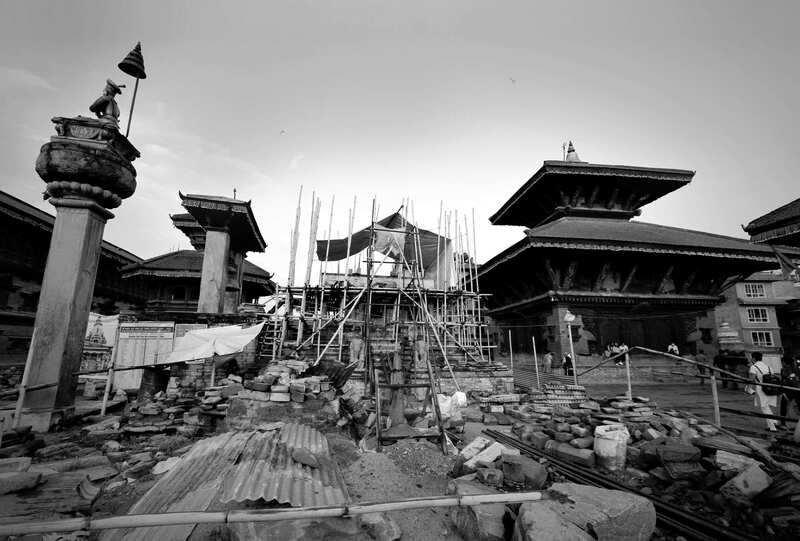 The crash happened on Nepal’s New Year’s Day and at the height of the spring mountaineering season at an airport that is the aerial gateway to the Everest region of Nepal, and sees up to 35 fixed wing flights and as many as 100 helicopter ferries every day. The plane was on an empty return flight from Lukla to Ramechhap, and there were no passengers. 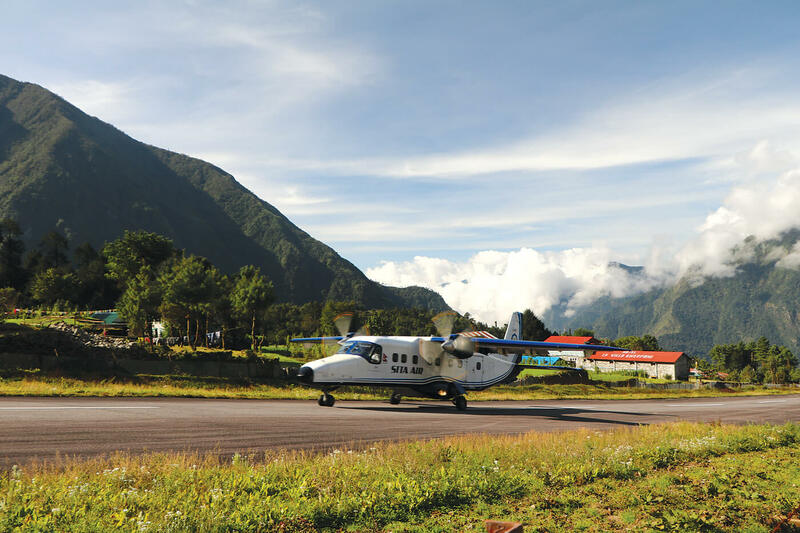 Most Lukla flights operate from Ramechhap because Kathmandu Airport has been closed from 10pm-8am because of runway repairs till 31 June. 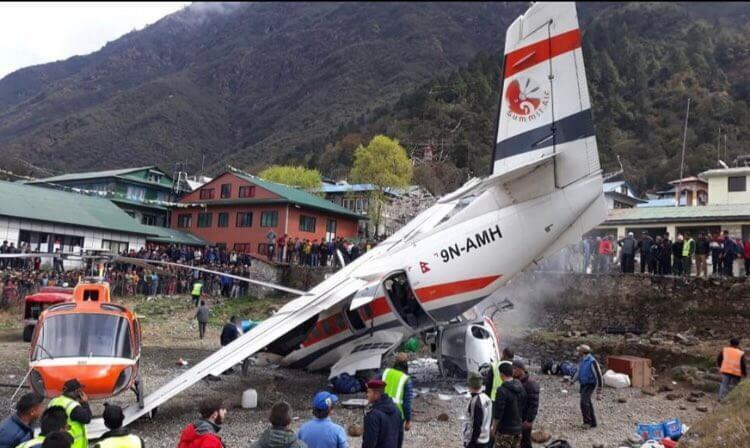 The Let410 appears to have veered halfway down Lukla’s short, sloping runway, skidded off to the right and ploughed into the helipad where there were two helicopters parked at 0910 on Sunday morning. It slammed into a Manang Air Airbus H125, which had just landed from Kathmandu, cutting it in half. Another Shree Air chopper was slightly damaged. The co-pilot of the Summit Air plane, Sujit Dhungana, and two policemen (Ram Bahadur Tamang and Rudra Shrestha) were killed. Several other injured, including Capt Rabinath Rokaya of Summit and Chet B Gurung of Manang Air were injured, and have been airlifted to Kathmandu. The visibility was said to be above minimum, although there were high clouds on the passes. Several pilots interviewed for this report said their colleagues at Summit Air had complained of chronic problems with the Let410’s nose wheel steering, and urged media not to speculate on pilot error. Summit used to be known as Goma Air and operates four Czech-made STOL aircraft. In 2017, another Let410 of the same airline crashed while making an approach into Lukla in poor visibility and slammed into a cliff just short of the runway, killing both pilots. Two planes each from Summit Air, Sita Air, and Tara Air flights have been waiting in Ramechhap all morning for Lukla Airport to reopen, stranding hundreds of trekkers bound for Lukla. Summit’s Let 410s have had several incidents involving nose gear malfunction in which the planes have lost control on the runway. 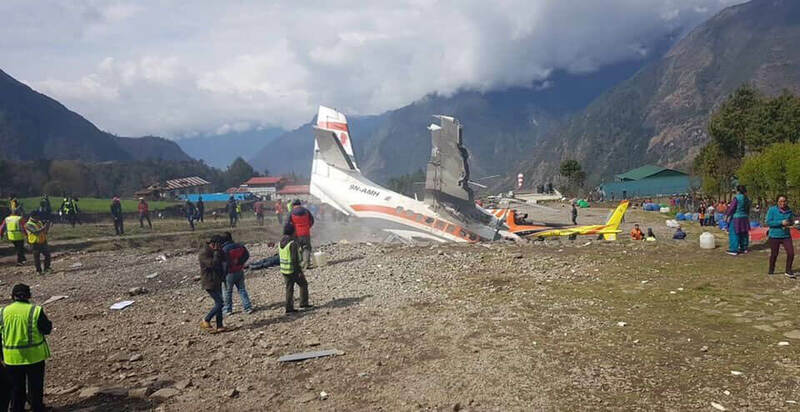 This incident in Lukla last year was captured on video, and shows the plane skidding dangerously close to the edge of the runway after landing at almost the exact spot where Sunday’s crash happened. 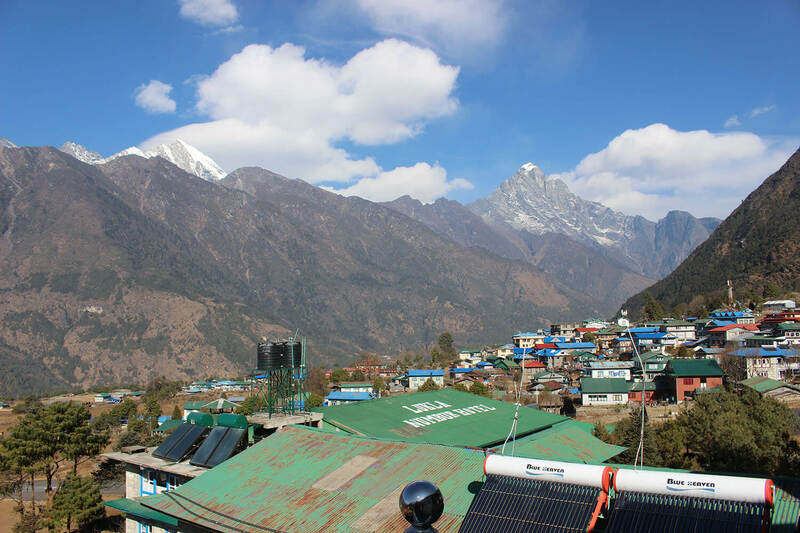 Lukla has seen many fatal crashes since it was carved out of the side of the mountain in a former potato field by Edmund Hillary and his team in the 1960s. In 2008 a Yeti Airlines flight crashed on the runway threshold while landing in cloudy weather, killed 18 people many of them German trekkers. Also on New Year’s Day a bus crash in Sarlahi on the East-West Highway killed three people.